Stay stylish and cool with this charming anklet bracelet. Comfortable and lightweight for wear all year long, has a bar and cable chain design. 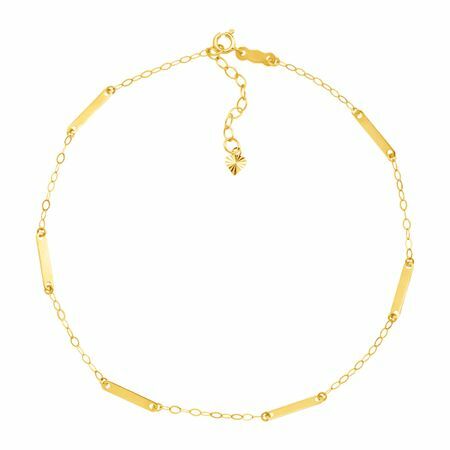 Crafted in 14K gold, this dainty anklet features bar stations along the cable chain and includes a 1-inch extender for adjustable length. Piece measures 10 by 1/16 inches.